One of my good friends (and a client too) introduced these to me and boy, am I glad! They are soooo good that it’s hard to believe that they qualify as healthy. They are packed with an intense flavor due to the salsa verde and cilantro. Plus, they have a nice heartiness and creaminess due to the cream cheese (yeah . . . cream cheese!!) and Mexican cheese blend. Besides all of that, they are easy to throw together and are FAST (so long as you’ve cooked and shredded your chicken beforehand, and even if you haven’t . . . the process is still pretty quick). We’ve eaten these twice in the last two weeks, which is saying something because the leftovers last us for a couple of days. I totally think you should try these . . . TONIGHT! Preheat oven to 350 degrees. In a medium bowl, thoroughly combine the meat, green onions, cream cheese, and 1/2 cup cheese. Set aside. In a blender or food processor, combine salsa verde, chiles, cilantro, and half and half. Blend until smooth. Place a heaping 1/4 cup of the chicken mixture in the center of each tortilla. Roll tightly and place, seam side down, in a baking dish. 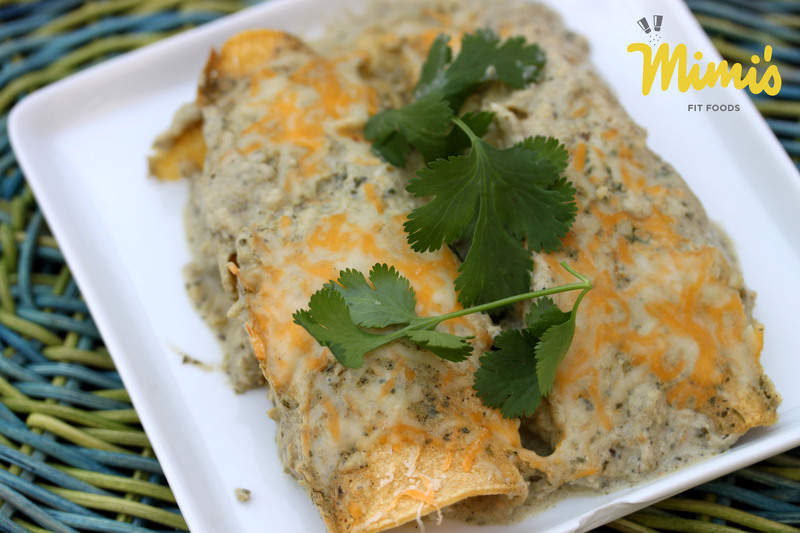 Pour the salsa verde sauce over the enchiladas and sprinkle the reaming 1/2 cup cheese over the top. Bake until heated through and bubbly, about 20-25 minutes. Serve immediately. 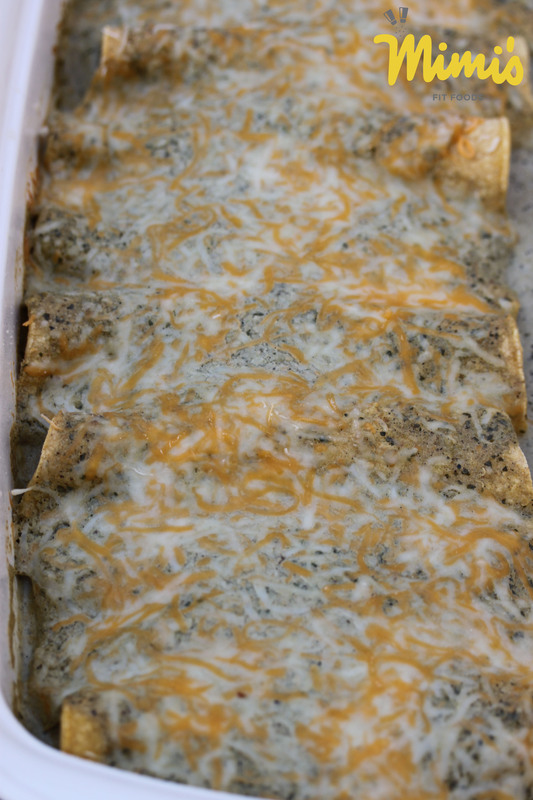 I made these last week for some friends who came over for dinner, and they were a huge hit! The only thing I changed was the addition of a little more cheese on top. Do you have suggestions for what to serve them with? I did mexican-style brown rice and refried pinto beans, but would love ideas for healthier options! I hope you still love them with my healthy modifications. Thanks again for the recipe!